As a pianist plays Bach’s “Sheep May Safely Graze” on the radio, my eyes focus on the opening and closing of one pair of intricate wings. Something about the butterfly’s wing dance awakens me to the music, and something in the lullaby awakens me to the butterfly. The fog lifts from my senses. I can hear God’s voice in the music, see His fingerprints on the wings. And all of the sudden, on this not so ordinary morning, tears surprise me. I feel safe, happy, thankful for this world. A single butterfly on a purple plume. A childlike melody on the piano. Achingly beautiful in its simplicity. God. Here. Now. I wish I could live all day in this full awareness of His presence. Dear Lord, thank you for being always with me and for the holy moments when I am awakened to You. 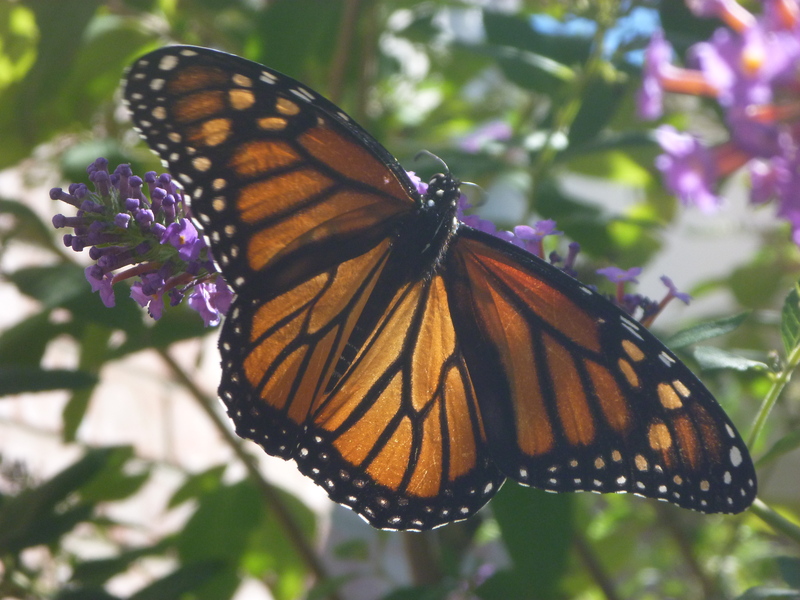 This entry was posted in Devotionals and tagged Butterflies, Gardening, God. Bookmark the permalink.